Lanefoot Loft017687 78097work Self-cateringLanefoot Loft has its own ‘front door’, which opens into a lobby with coat hooks, and a coir matting floor with space for shoes and boots, then there is a carpeted staircase up to the accommodation. Lanefoot Loft sometimes limits bookings to 3 or more days. Lanefoot sometimes limits bookings to 3 or more days. Unfortunately, Lanefoot Loft is not suitable for children. By car: Exit the M6 at jct 40 (Penrith) and take A66 towards Keswick. 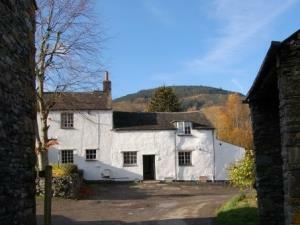 Drive past Keswick, past the villages of Portinscale and Braithwaite, and turn off the A66 at the Thornthwaite turning. Follow the road down hill for approximately 0.5 mile. At the bottom of the hill turn left, and Lanefoot Farm is a 0.25 mile ahead. By bus: Stagecoach operate the X5 bus service from Penrith (where there is a train station) through to Workington, and this bus goes through Thornthwaite village. 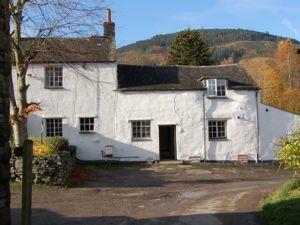 Just ask the driver to stop at Lanefoot Farm and walk 0.25 mile to the farmhouse.